Calls to my every sense. Mallorca was a dream with its gorgeous mountain towns, tiny beach-villages and vast blue seas. The island cast its spell on us soon after arrival, as we drove to Costa d’Ora to visit old friends. 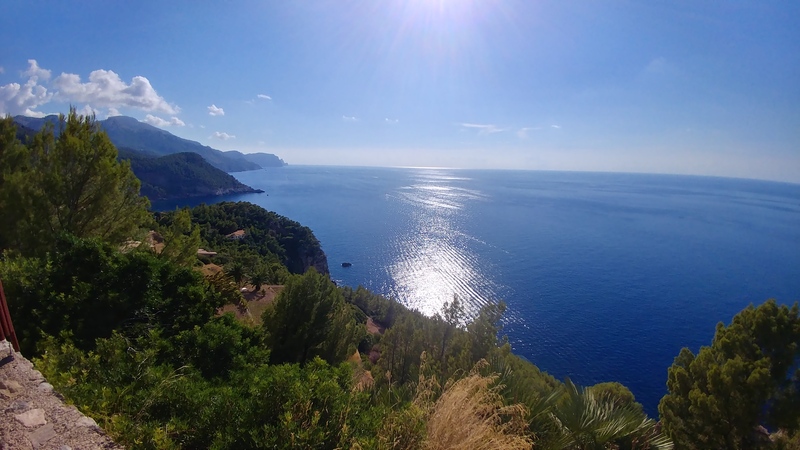 The landscape-seascape of Mallorca is stunning from edge to edge. Our first full day in Mallorca was a race to run-and-jump into the cool, salty Mediterranean. Travel School is always in session ~ We arrived in Mallorca mid-August, just before our “official” early September start of school. However, I am not one to miss an educational opportunity. So, I decided to focus our time there on art, art history and geography of the Balearic Islands*. 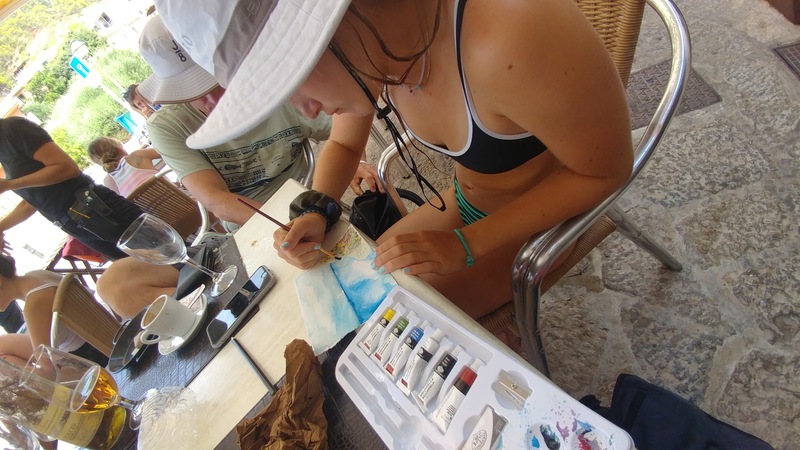 I wrote poetry from the hills outside of Palma and we painted at the beach, on sailboats and in cafes. 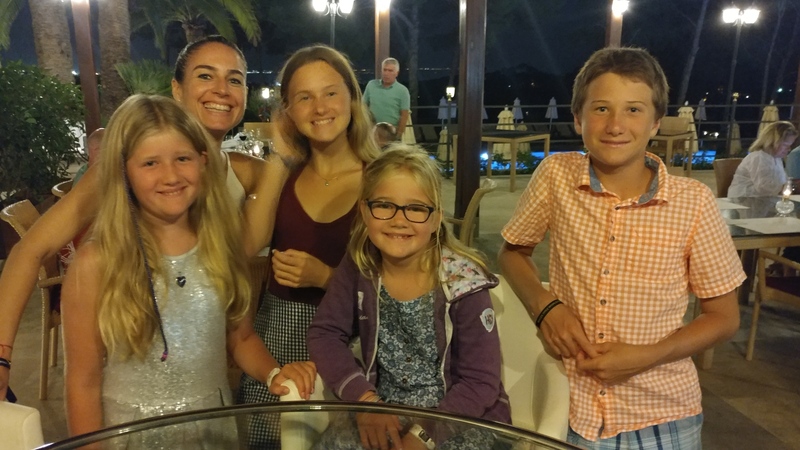 The kids were keen explorers – jumping right into speaking Spanish, trying many new foods and swimming in the mediterranean every chance they had. We all adjusted immediately to the pace of island life. Above, Sophia painting the view from a cafe in Porto de Malvarrosa. The Mallorcan art scene is notable. 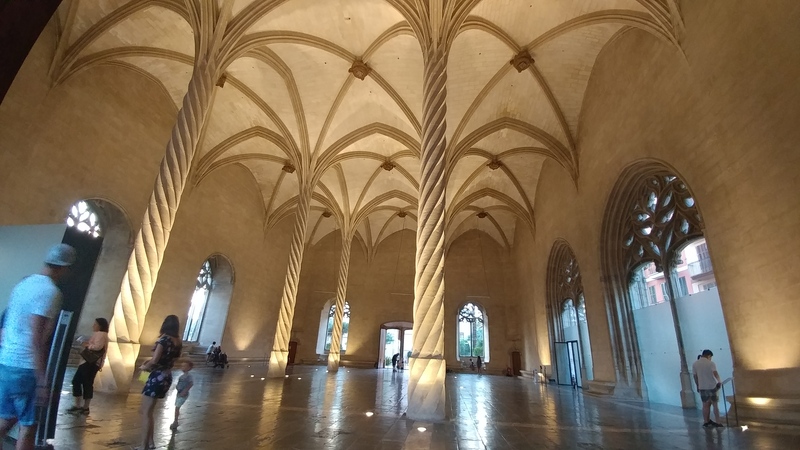 Our favorite was El Museu Fundación Juan March located in Palma’s historic city-center. The museum has a stunning permanent collection (Pablo Picasso, Joan Miró, Juan Gris, Salvador Dalí) and a well-curated display of modernists. 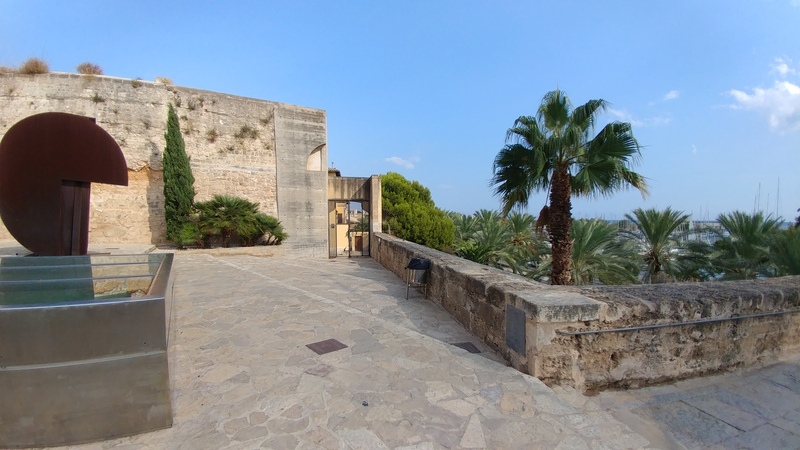 We also visited Es Baluard, which is located just up the hill from the port and sailing center in Palma. The collections of Es Baluard focus primarily on contemporary art of Balearic artists. I have been to Es Baluard a few times before and have found exhibits there to be consistently young, fresh and sometimes …artfully disturbing (as contemporary art can be). It is an important museum as it showcases the modern “tempo” of local, creative minds. The Fundació Pilar i Joan Miró is located in between Palma and Porto Portals. This museum is dedicated to the work of Modern artist Joan Miró, friend of Picasso. It comprises 6,000 works donated by the artist, including paintings, sculptures, a library, and sculpture garden. See below for some interesting articles on the camaraderie of Miró and Picasso. The Museo de Mallorca is a small museum which traces the culture and history of Mallorca with island artifacts and works of art. We learned and saw a lot in a short period of time. 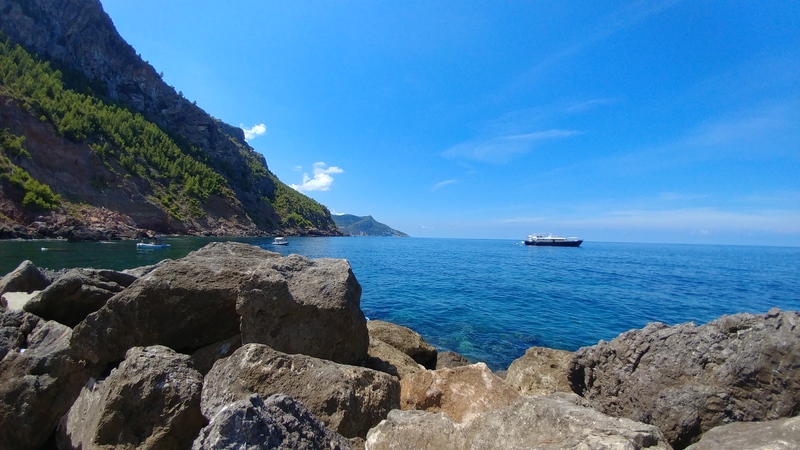 In addition to geography, art and art history, our time in Palma was replete with golf lessons, sailing, swimming and sightseeing… but most important were the old and new friends with whom we spent quality time. We were fortunate to be staying with the Provezza TP52 team at the graceful Castillo Son Vida in Porto Portals. (Golf enthusiasts, take note!) Making new friends is the single most fabulous thing that can happen to us while traveling. 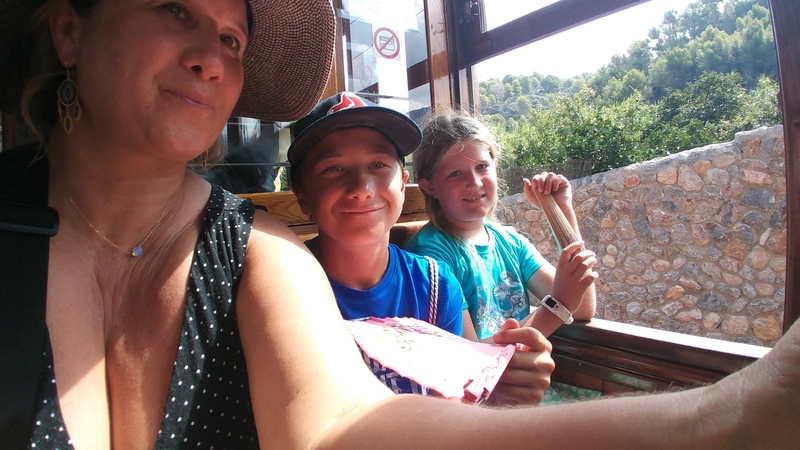 Train ride to Sóller with Oliver and lovely Zara. 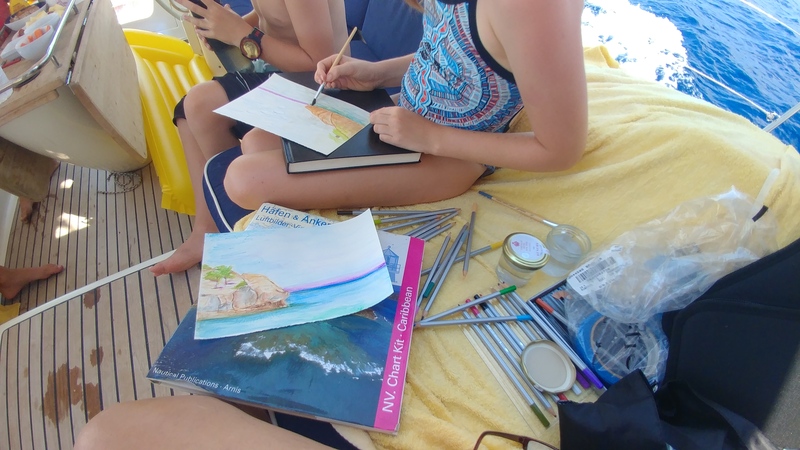 Swimming and watercolors with the Sanderson family onboard This is Life, Hamburg. *Remember the Craig family from St. Michael’s? 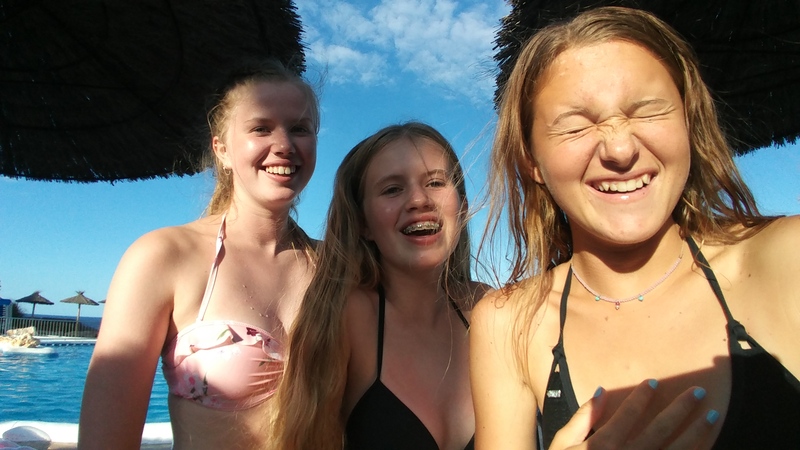 We met up with them in Mallorca – Clare and the girls were there on vacation. The family is doing well and the girls are happy, healthy and beautiful as ever! *The Balearic Islands are an archipelago off the eastern coast of Spain in the Mediterranean Sea. There are 4 islands in the Spanish Balearics: Ibiza, Formentera, Mallorca and Menorca. 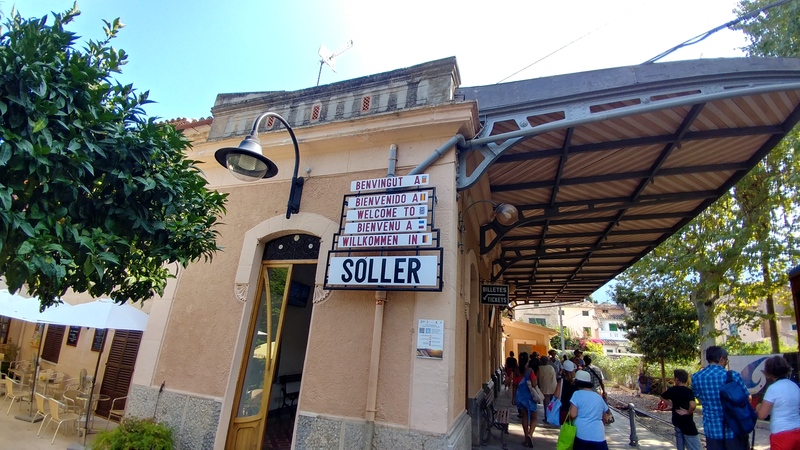 For more information, see: https://www.illesbalears.travel/en/baleares.